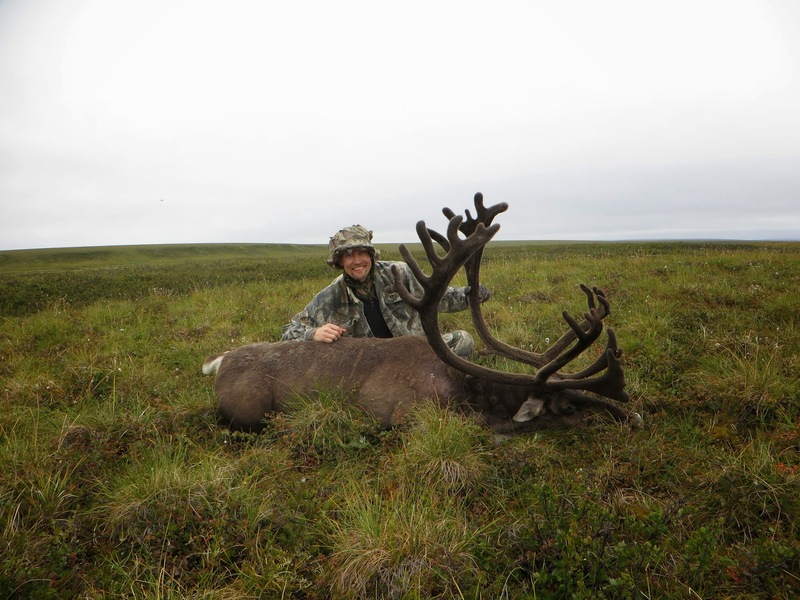 A Colorado Hunter's Life: Bears, Wolves, Caribou, welcome to Kavik! The item that strikes you most about the Kavik River area is its desolation of civilization. When you fly over the lower 48 states, you are hard pressed to be find areas completely devoid of human habitation. 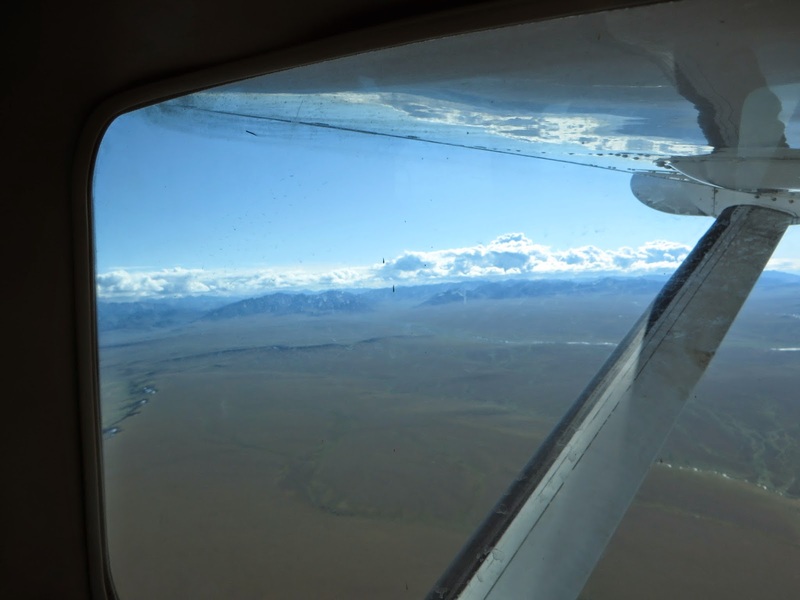 Low flight on approach to Kavik River Camp reveals...nothing. No roads, no villages, the only evidence humans were ever here are old trails left by seismic measuring devices. This place truly is one of the few lonely outposts on the last frontier. On day one of our hunt we were greeted by thick clouds, light rain, and low fog. It was difficult to see anything from The Perch, but we ended up trudging through the wet tundra in search of Caribou. We found several herds moving through across the tundra fields. Some planning put me within 150 yards as a herd moved through, but it was outside of bow range. 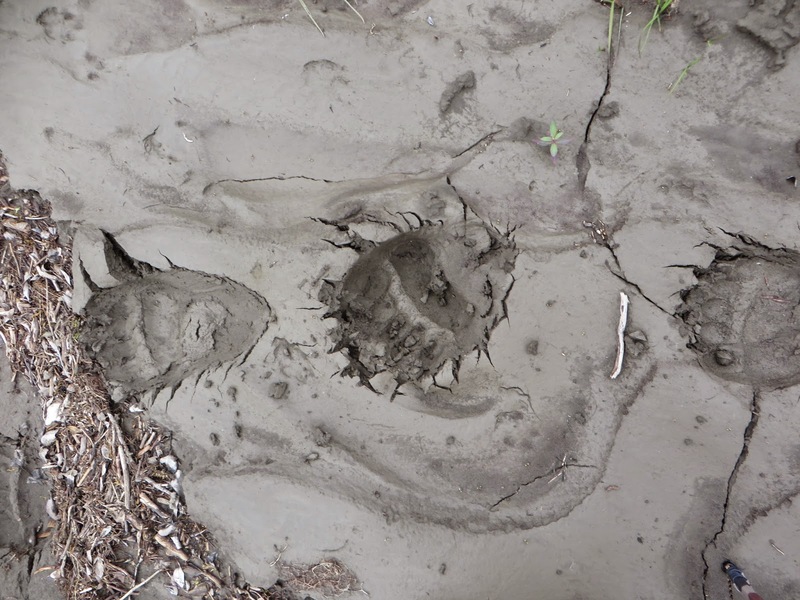 The second day found us following the Kavik River in search of caribou. I spotted a single cow crossing the river and moving towards us. I tried to position myself for a possible bow shot but she was running, and it was not feasible to get in front off her. 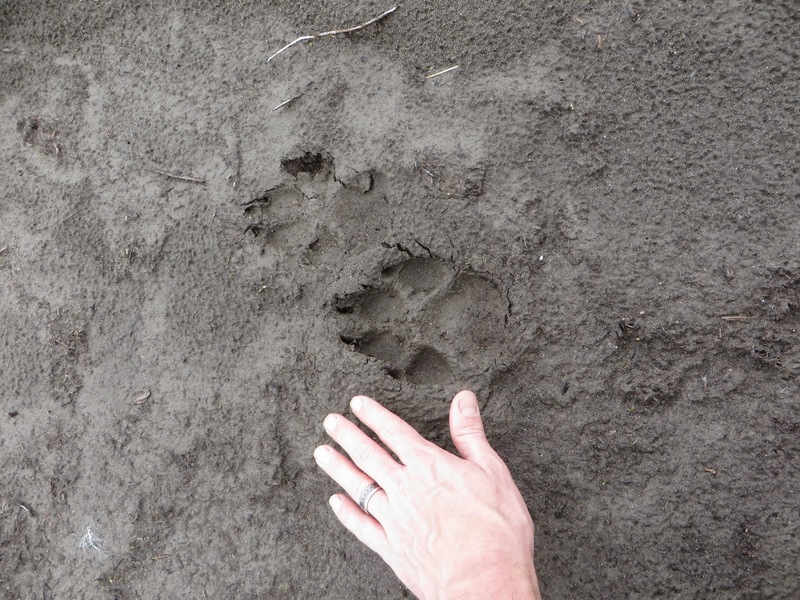 Shortly after she passed me I figured out why she was running: there was a black wolf working down the river bank. It was the first wolf I had seen in the wild and it was a majestic sight. I tried to grab my camera for a few pictures of the critter but he disappeared into the willows just a hair before I could get any images of him. Further exploration of the river banks revealed three beautiful Caribou bulls bedded a short distance from the trail. We snuck into position for a shot, but found the bulls had started feeding and were now further out in the tundra. They were estimated to be 300 yards away with no hope for a stalk with the bow. We were left with only a rifle shot and I took it, downing the best bull of the three. I could have easily filled my second tag on the spot as none all of the remaining bulls ran at the sound of gun fire. I choose to reserve that tag for a bow kill, but should the end of the week arrive with an empty license, that could be revised. Walking up to the bull we got our first introduction to caribou anatomy. Their fur and features are softer than the animals we are accustomed to. They have a quaint look about them that is reminiscent of Santa's reindeer. It looked like I had just shot Donner or Blitzen. My evil side contemplated telling my young 7 year old daughter how Saint Nick was now minus one sleigh puller. I decided to quarter the caribou on the spot, sending my hunting partner back to camp for help. Knowing that bears were a problem in this area, I kept my eyes on the horizon looking for one that might be coming in for an easy meal; the fast food version of McDonald's on the tundra for them. While one prepares for such a possibility, you never really expect it to occur. Sue Aikens arrived during the quartering processed and yelled for me to look towards the north as she was still approaching the kill sight. When I did I found there was a grizzly bear running towards me, and the pile of coveted meat. I am sure he hear the rifle shot and while a danger sound to some animals, it is the dinner bell to some of the predators. Fortunately the bear decided he was outgunned and moved off as Sue and other hunting helpers arrived at the kill sight. It was a new experience, butchering an animal in a rush, while under armed guard. The next day I returned to the kill sight area and found all the bones and offal gone; completely consumed or cached within 24 hours. While I was there a blond wolf came in and inspected the area. He was much larger than I expected and I was able to observe him for several minutes. Sadly I was too far away for any decent photographs. Later I would get within 100 yards of him, but he started running long before I had any chance of capturing him with my camera. Last thoughts are from the movie, "Dances with Wolves." Being on the Tundra 197 miles north of the arctic circle reminded me of a line from the film: "I've always wanted to see the frontier...before its gone." Christopher I have always felt the same, they Are somehow the comedic side of the game animal. All long legs and soft faces. I have also always found that the meat is one of the nicest to eat and the easiest to cook. Thank you for posting as it's another view on the life I have seen and I love knowing some other soul can feel nature the way I do. Thank you Jennipher for the comment. It was a great time in Alaska and learning to hunt a new animal was such a great adventure.